Sometimes there are just areas that are difficult to protect. It is not always easy to be mindful of your defense when you are trying to keep your legs safe, and that is why these Paladins Tassets are a great addition to add to any suit of armor! These tassets are made entirely from high quality 9-10 oz. leather, possessing a simple shape that gives them great versatility. These tassets are meant to be worn on a belt and feature three distinct plates, with two echoing each other. The central plate is unique, possessing an all-black appearance that hangs down in the center. 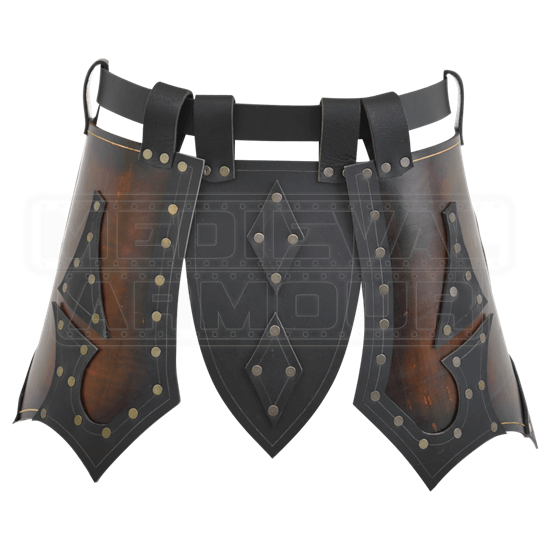 Two leather plates flank this central black defense, consisting of a rich, brown-hued leather base that is decorated with riveted black trim and leather plating. This tasset is available in one color, which perfectly complements our Paladins Armor and all its accessories, as well as many other types of armor. It is very easy to lose track of your legs in combat, especially when you are busy wielding your sword against your enemies. 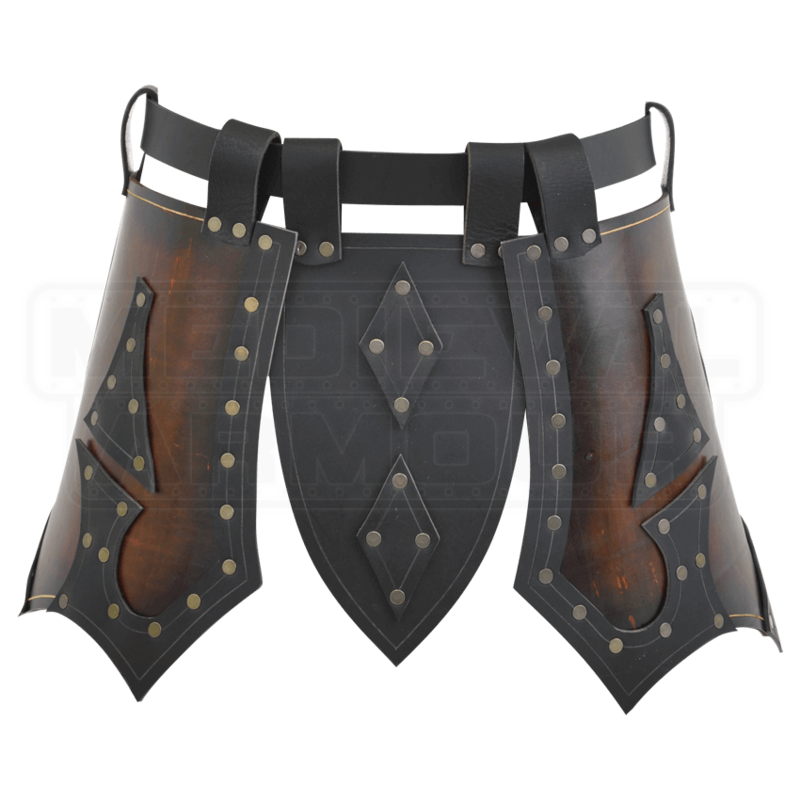 This Paladins Tasset just adds a little extra protection to your legs, ensuring that when a blow does slip through, it does not take you out of combat for good and instead, just glances right off your superior leg protection. A belt is not included.